Following a GFSI re-certification audit, Gist Auburn scored 98.99 percent – up from 98.6 percent last year. 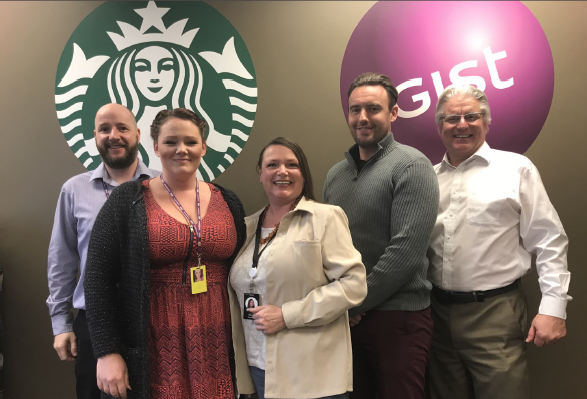 Opened in 2015 as Gist’s first US site, Auburn provides the first step in establishing a presence in the US contract logistics market by supplying warehouse and delivery services to Starbucks’ Northwest operation. Through its benchmarking requirements, the Global Food Safety Initiative (GFSI) creates a common understanding of what constitutes a good food safety system, and has become the most widely-accepted global benchmark for food safety requirements. For more information about Gist's US operation, visit our Food Services page.